Dehydration can be a serious health concern for horses. A horse can lose vital minerals during sweating, working, extreme cold and stress. These lost minerals, also called electrolytes, play a very important role in the health of a horse. A balance of electrolytes needs to be maintained in the body fluids of a horse. This balance is important for the transmission of nerve impulses and the normal functioning of nervous, muscle and circulatory systems. Electrolytes play a pivotal role in large number of cell chemical reactions. Even when a horse is at rest it loses electrolytes through feces, urine and breathing. Due to excessive sweating, electrolytes are an even more important consideration in an event horse. It has been found that one liter of horse sweat contains around 3.5 g of sodium, 1.2 g of potassium, 6 g of chloride and 0.1 g of calcium. Normally, a horse loses around five liters of sweat every hour even at a moderate pace. On a normal day, this may result in the loss of around 50 grams of electrolytes. 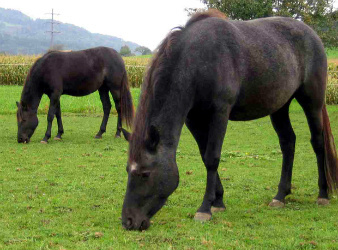 Consumption of hay and other feed doesn’t contain needed electrolytes. Therefore, supplemental electrolytes are needed. 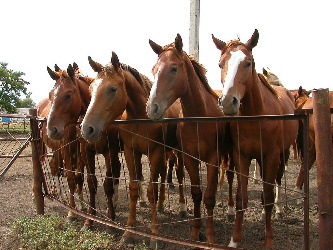 A salt lick will provide sodium, but other electrolytes are neglected. Apart from water, a horse’s sweat contains sodium, potassium, magnesium, calcium, chloride and trace mineral electrolytes. Horses are not able to store these electrolytes, making it all the more important to include them in their daily intake. This is a readily available electrolyte powder that provides nutrients and minerals for your horse. BlueLite helps to maintain electrolyte balance, encourage water intake and help to keep the body hydrated. It is available in different forms such as powder, pellets and gel. The key functional components of BlueLite include magnesium, sodium chloride, potassium, calcium and energy metabolites. It consists of energy metabolites, mineral ions and nutrients. It contains only the major electrolytes, the trace mineral electrolytes are missing. This is an advanced electrolyte replacement well suited for performance horses. Manufactured by Nu Tec SA, Capstone Horse Feed is prepared from stable ingredients that are readily absorbed by the horse’s body. It provides a blend of electrolytes in a balanced formulation that matches those lost in horse sweat. It also contains prebiotics (made from natural sugar beet root source) that help in maintaining healthy bacteria in the gut. It comes with a feeding level guide that helps you to adjust the daily amount of Capstone Horse Feed to give your horse when considering the amount of sweating the horse has done. This is a complete equine electrolyte supplement that provides the vital electrolytes and trace minerals your horse needs while working in hot, humid conditions. It contains the minerals magnesium, phosphorus, zinc, manganese, iron, copper, and cobalt and is 12% potassium. This is all blended together in an apple flavor. It is sugar-free and does not contain any non-electrolyte fillers. 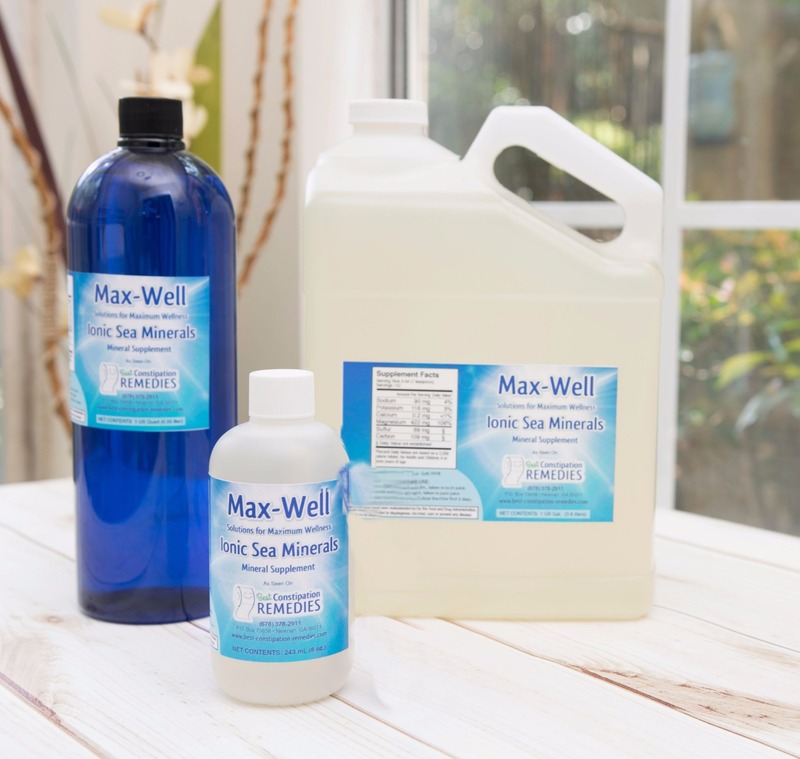 This is an electrolyte solution from the ocean, and contains 76 mineral and trace mineral electrolytes, including the key electrolytes potassium, sodium, chloride, magnesium. Of all the electrolyte solutions on the market, it is hard to find another with such a full spectrum of horse supplement electrolytes. Ocean Trace can be given to a horse through its drinking water at the rate of one teaspoon per day for every 200 pounds of body weight. Equine electrolyte supplements improve a horse’s performance, aid recovery after strenuous exertion and help to prevent dehydration. Increased work and temperature will make a horse sweat more, requiring a higher amount of electrolytes to be replaced. If electrolyte and fluids are not restored, it can affect the performance of the horse.